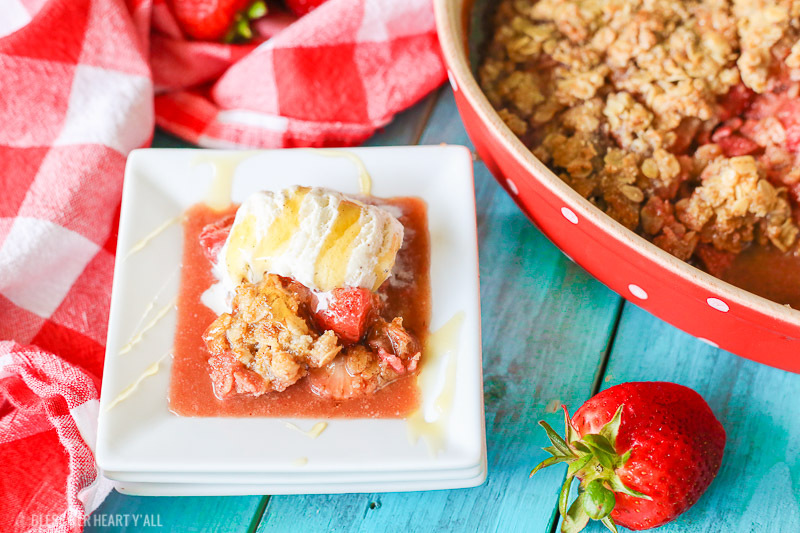 This gluten-free strawberry crumble warms sweet juicy strawberry pieces with a soft and sweet crisp topping. 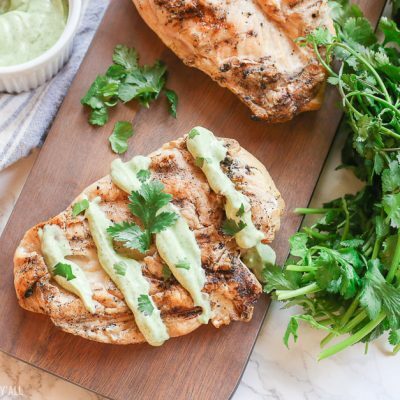 It’s perfect with vanilla bean ice cream and a drizzle of fresh honey! 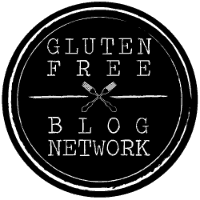 In my last monthly newsletter that I sent out (if you haven’t signed up for it yet, let’s getcha signed up!) a few weeks ago I mentioned having this fantastic recipe for a baked strawberry pie. BUUUUUUT… the problem is that it’s hard to serve and hard to photograph. I’ll just be honest here, it’s falls apart into a big lump. It’s a big lump of deliciousness, but still it’s a big lump and not a pretty little slice of pie. I felt that I couldn’t just let the recipe go and I am still working on all the parts to make it come together. But I also had this brilliant idea of turning this failed pie recipe into something that it kind of already was. It was already a crumble…. so let’s tweak a couple of little things and make it into the most deliciously baked strawberry crumble. After making this dessert more than a few times now, I may have talked myself into always making crumbles and crisps over a formal pie. The perfectly imperfect fits my style better anyways…. 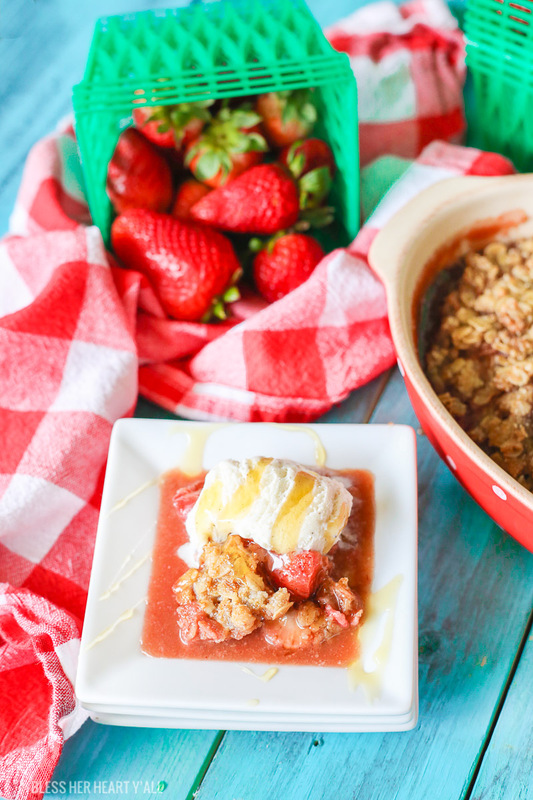 To make it even more perfectly imperfect, I like to serve my strawberry crumble with creamy vanilla bean ice cream and a hefty drizzle of fresh honey. 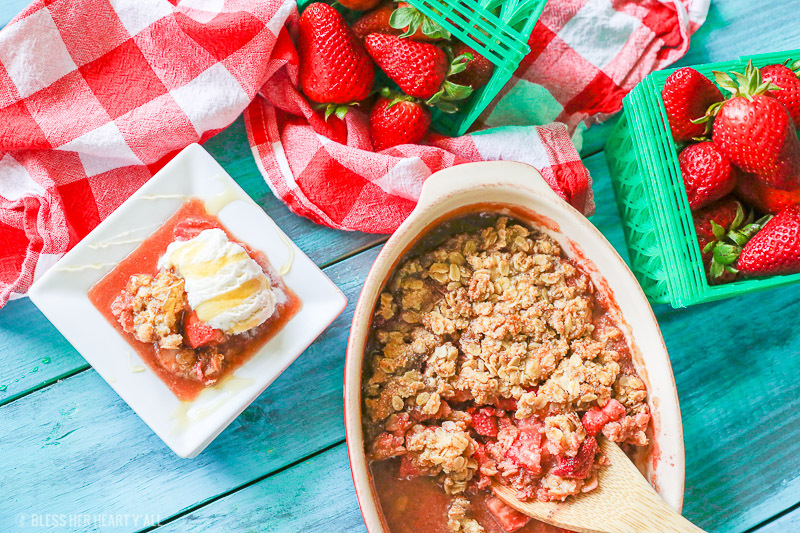 This gluten-free strawberry crumble warms sweet juicy strawberry pieces with a soft and sweet crisp topping. 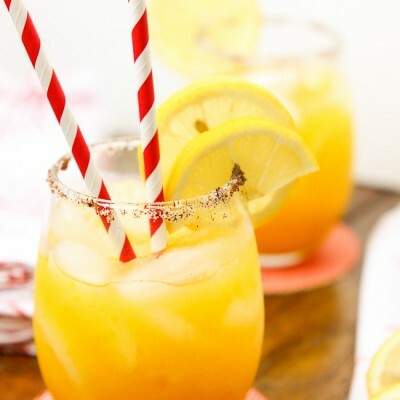 Perfect with vanilla bean ice cream and a drizzle of fresh honey! Preheat your oven to 350*F. Grease a 9 x 9 baking dish or equivalent and set aside. 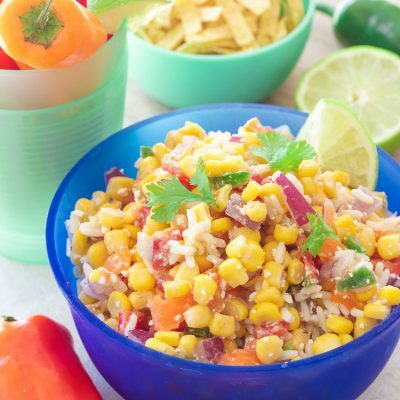 In a large mixing bowl combine all fruit filling ingredients and mix well. In a second mixing bowl combine all crumble toppings together well. Place the fruit filling in the bottom of the prepared baking dish. Place the crumble topping on top and spread into a thin even layer. Bake for 30-35 minutes or until the strawberry glaze is bubbling along the sides and the crumble is a golden brown around the edge of the dish. 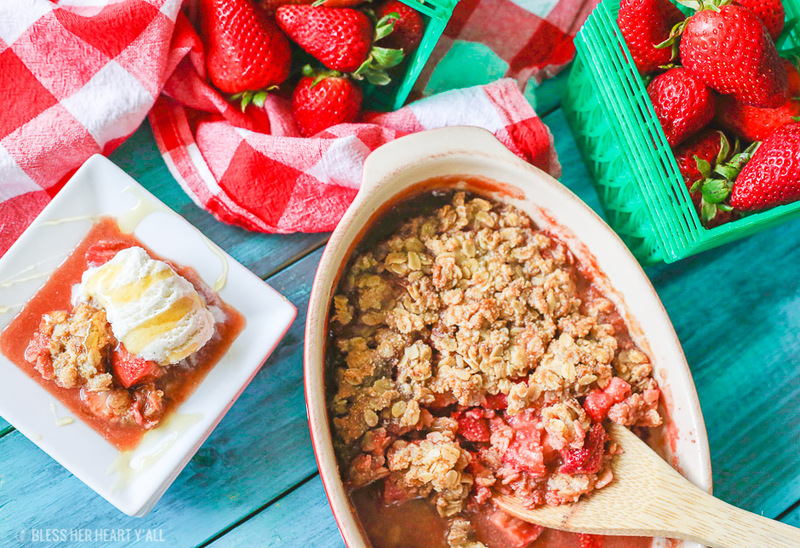 Remove the strawberry crumble from the heat and allow to cool. The juices will thicken upon cooling. Serve with ice cream and a drizzle of fresh honey! Oh man! 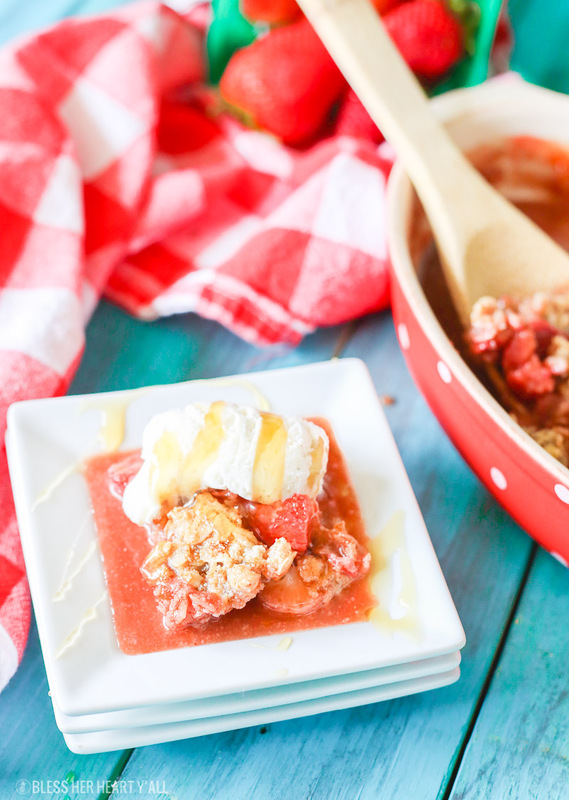 The warm strawberry crumble melts the thick ice cream and that drizzle of honey on top gives it a ooey gooey finish. This beast transforms into a sweet, warm, gooey masterpiece that you can enjoy all summer long. 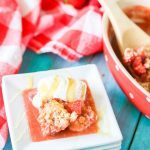 This strawberry crumble works well when combined with other summer fruits like peaches, blueberries, and blackberries too. The crisp freezes well for up to 2-3 months. Just place the crumble overnight in the refrigerator, then warm in the oven at 325*F for 20-25 minutes or until fully heated. You can pre-make the fruit filling the day before, refrigerate that portion overnight, and add on the crumble topping just before baking.